I currently belong to two book clubs one at the local public library and another with a few friends. The public library book club tends to read classic literature. For October’s meeting we read The Essential Tales of Chekhov. It was short stories by Anton Chekhov and it was enjoyable – humorous but also dark but come on, he is Russian so it is going be dark. For the next meeting we are reading The Country Girls Trilogy by Edith O’Brien. We are just reading the first book of the trilogy. I haven’t started it yet because the friend’s book club meets in a week and I needed to finish The Children Act by Ian McEwan. I did finish it and it was worth the read. The book we had read previously was The Goldfinch by Donna Tartt which was good by a little long (800 pages). I am also reading Bird by Bird by Anne Lamott and Replacement Child by Judy L. Mandel both of those books are more for research than for pleasure but I am enjoying all that I am currently reading. I also have had opportunity to visit a few interesting places recently. 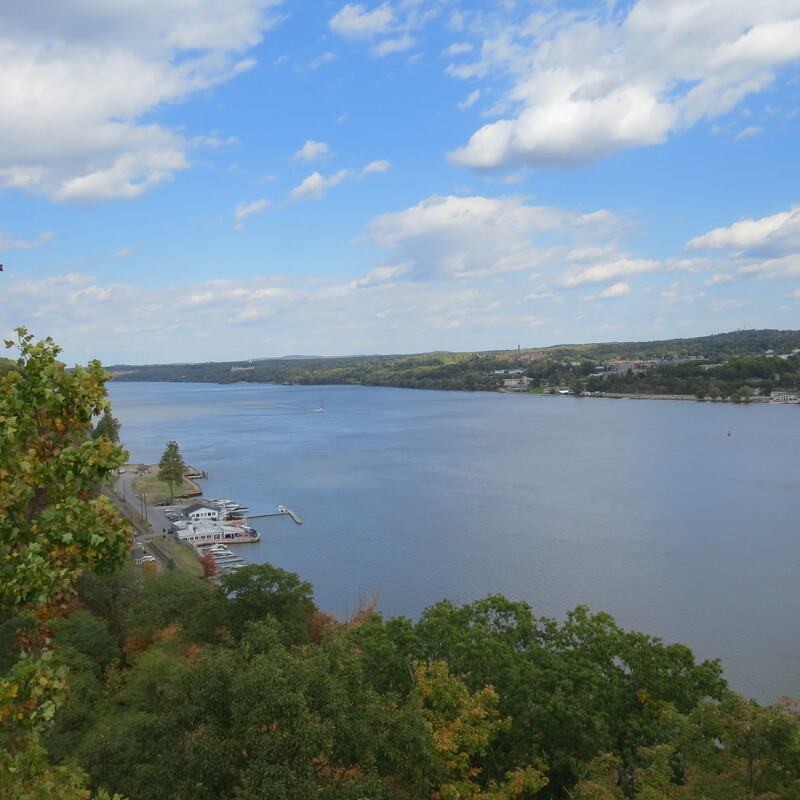 Two friends and I walked the Walkway over the Hudson (https://www.walkway.org/) last week and had lunch at a delightful little café called Lolas. We had beautiful weather. I would encourage you to take a stroll on the Walkway and then enjoy a yummy lunch at Lolas and then walk back. You get a view and exercise. 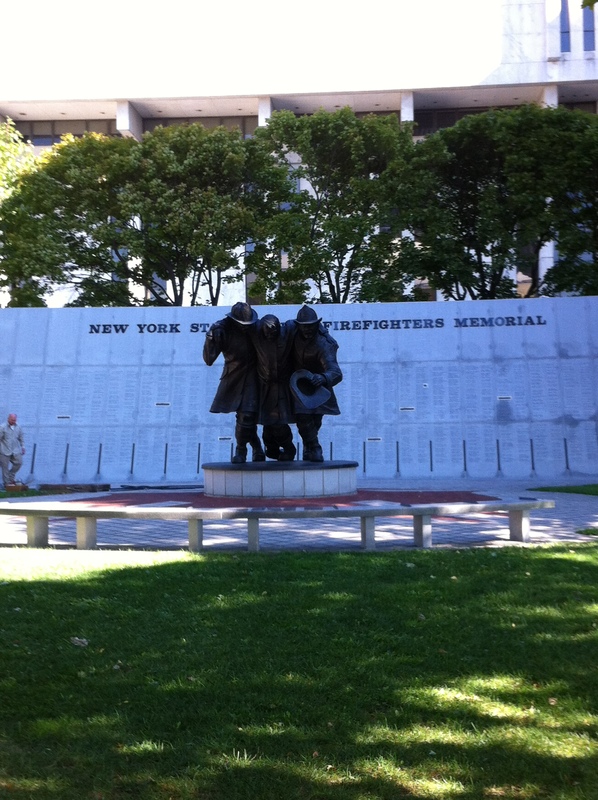 The week before I visited the State Museum (http://www.nysm.nysed.gov/) and New York Fallen Firefighters Memorial in Albany. My intention for visiting the State Museum was to see the 9/11 Family Room exhibit. The weird thing is I only visited the 9/11 Family Room once when it was in One Liberty Plaza and never went when it was on the site. 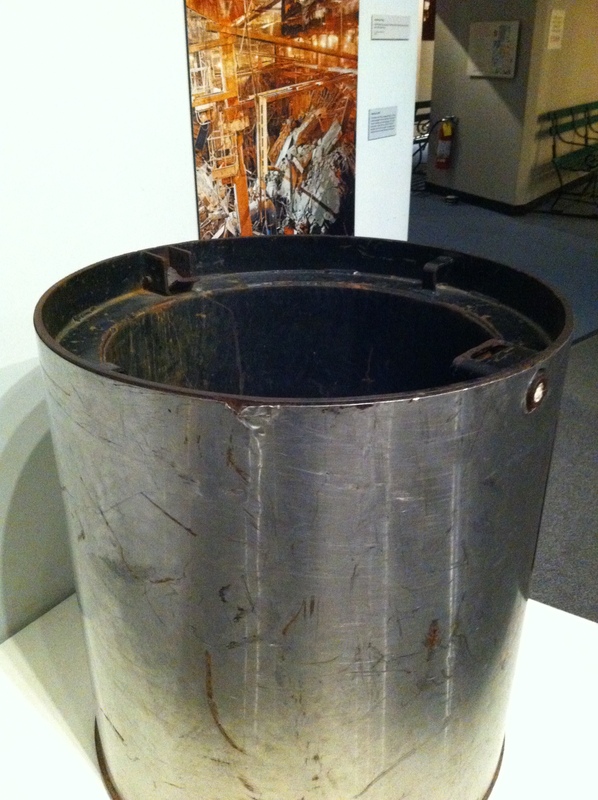 I was curious to see the exhibit but in earlier years I had no need or desire to visit the space. I will say the State Museum’s September 11 exhibit is a good exhibit for children. I thought it tells the story without being overwhelming like the National 9/11 Museum. The area is bright, there are few large artifacts, information on all aspects of attacks, rescue and recovery. There is a section on rescue dogs and a statue to honor the dogs. 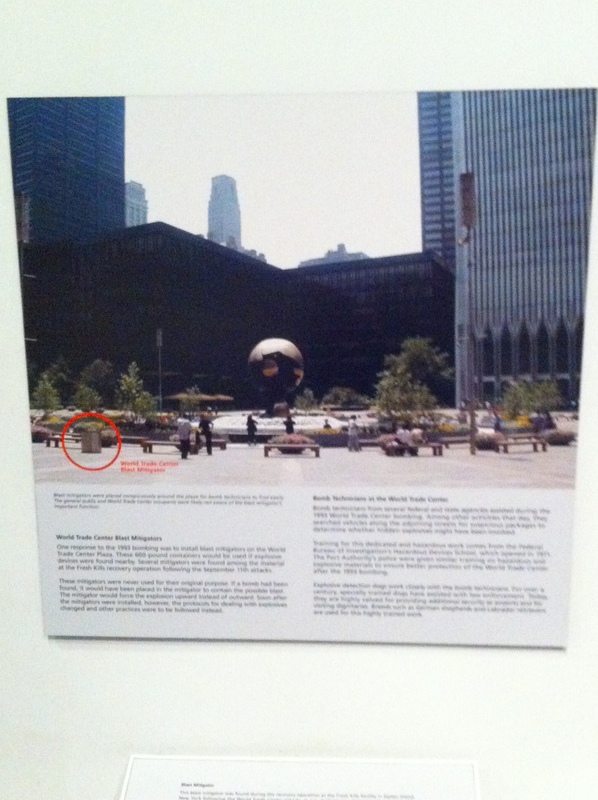 I also learned something I hadn’t realized that at the original World Trade Center there had been bomb disposal units on the plaza. Already, then. I started wondering what on the new site is the equivalent. 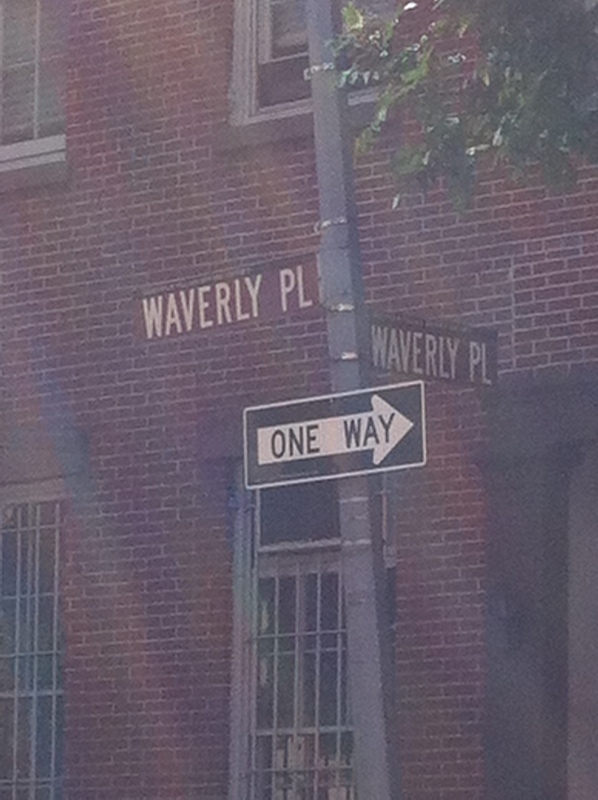 Only in Greenwich Village can you stand on the corner of Waverly Place and Waverly Place – one of the many quirky little streets that makes Greenwich Village an exciting place to explore but a little difficult to navigate. A few friends and I had a delightful time two weeks ago exploring Greenwich Village with Judith Pucci of Downtown Tours. I know Judith from the 9-11 Tribute Center where we are both docents. Judith, a longtime Greenwich Village resident, leads a wonderful, informative walking tour of her neighborhood. Judith tells the story of Greenwich Village by sharing historical facts on three events that shaped the area – the grid, yellow fever epidemic and the big cut. She has wonderful anecdotes to share. 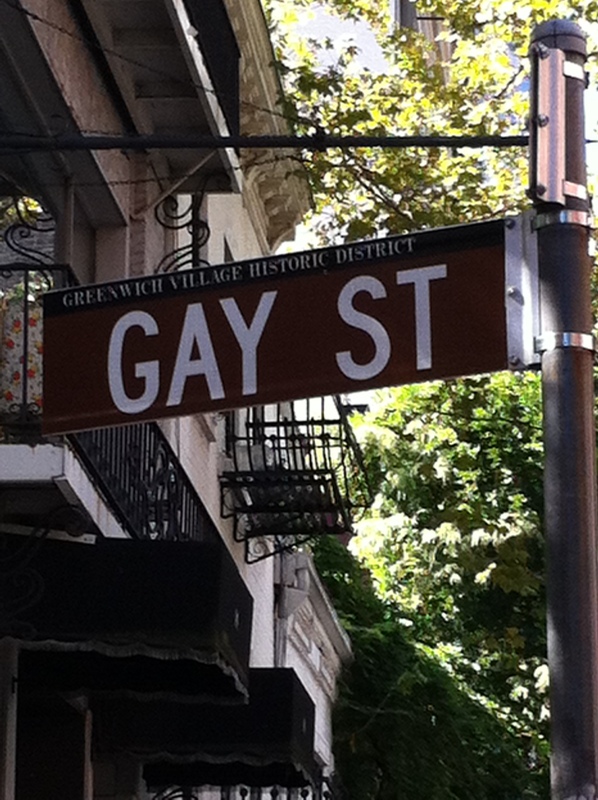 Did you know that Gay Street isn’t named for a feeling of happiness or for a sexual preference? It is named after the land owner, Mr. Gay. For some time now, a friend of mine has wanted to get to know more people in the community where she lives. Like many people she commutes to outside of her community to work. Her children are grown so she doesn’t have “the school connection” to her community. I have lived in my community for 28 years but because I always worked outside of my community and my children didn’t attend school in my local community I too felt the desire/ need to be better connected in my community. We both enjoy reading and discussing books so we decided to start a book club. To give credit where, where credit is due my friend was the originator of the library book club idea. Last December, we met with one of the librarians at the local public library. We told them our idea to start a book club. The librarian wanted to know “who would be welcome to attend?”. We said “whoever wanted to”. Since it would be open to all the library would reserve one of their rooms for us at no charge, they would mention the book club in their newsletter and they would secure copies of the book we wanted to read. Sounds simple – we were actually a little surprised at how easy it seemed to be. Then there was a little bump in the road. The first book we wanted to read Cutting for Stone by Abraham Verghese wasn’t readily available so the library asked us to pick another book from a very extensive list of books. Oh my!! Maybe this wasn’t such a good idea. We looked over the list and decided on Their Eyes Were Watching God by Zora Neale Hurston. Our thought being with the popularity of The Help it would be interesting to read a book written by a female African-American writer. As the first Tuesday in February approached we decided that the worst that could happen would be no one except the two of us would show up and if that happened we would just discuss the book between ourselves and call it a day. Well, 3 other people came and a lively discussion ensued. Since then we have met the first Tuesday of each month. I have read some books that I would never have chosen to read if they weren’t the “book club” book. As one of the other book club members commented “it is good to read a book that may have been required reading in school but now you can read it and don’t have to write a paper or take an exam.” I have been privy to the great conversations. I have met some new people and I look forward to seeing them on the first Tuesday of the month. The interesting thing is we don’t actually know very much about each other. We know each other’s name and maybe one or two random facts – retired or working, has children or not. I guess what we don’t know is each other’s stories. I like learning other’s people’s stories. But to be honest there is something to be said for just being people who read the same book and get together to discuss it. It is simple, it isn’t messy and it is very enjoyable. Sometimes you need that. In case you are interested, we have read and discussed the following books. It is an open discussion. Sometimes we have discussion questions, sometimes one of the book club members just starts talking about the book. The book for the next month is suggested by a member of the group and the only “rule” is if you suggest a book, you have to show up to discuss it. Only once did someone break the rule! We average about 7 people on the first Tuesday of the month and if everyone came who has ever come we would be 20 people. 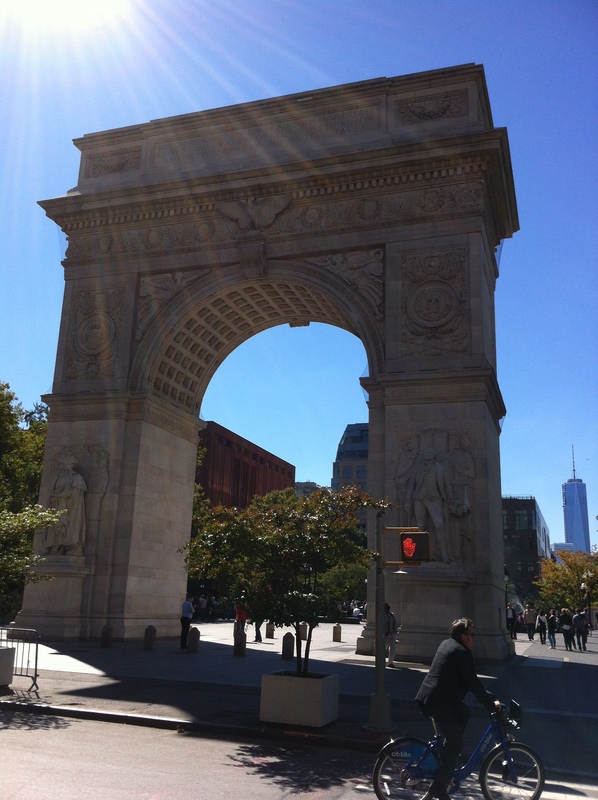 and I am just finishing Washington Square by Henry James 1880 to be discussed in September. 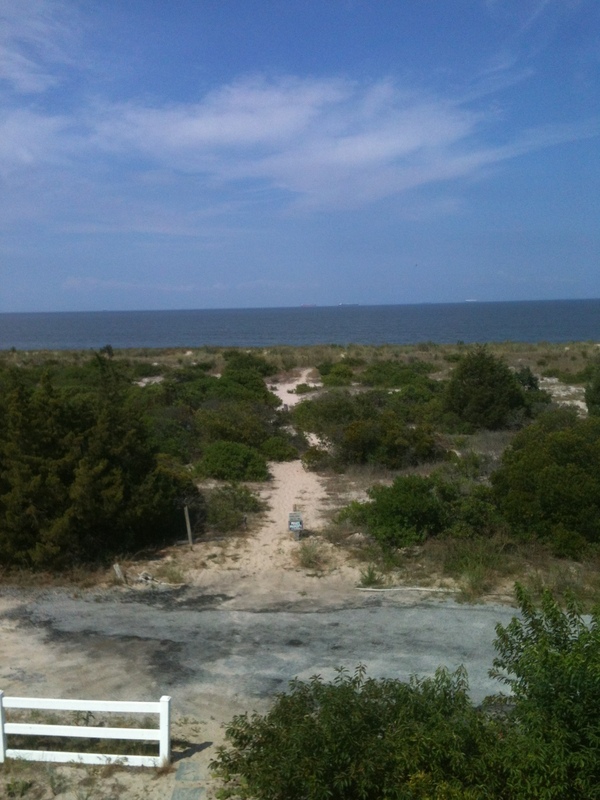 This is the view from the beach house we have rented for “family vacation”. For the last few years some time between Thanksgiving and New Years my daughters will ask “is there family vacation next year?” To which I respond “do you want to go on family vacation?” Family vacation is code for mom plans and mom pays. I am blest that my girls and their guys want to go on vacation with me and that I can afford to do that. The planning usually starts in January with “where should we go and when are you available?” This year there were emails back and forth with links to possible beach houses. And by the beginning of February the beach house was reserved for the third week in July. I enjoy beach vacations but I am a brat so I want to be right on the beach and I want nothing to do but be with my family, read, chat and sip ice tea. This year’s family vacation is in Broadkill Beach, Delaware. The beach house is a block from the bay. It is a short walk over the dunes to the beach. The weather has been great a little warm but if you sit right at the edge of water you don’t feel as hot. My youngest daughter’s golden retriever has joined us complete with his own life jacket and water toys. I have read 2 books (A Secret Kept by Tatina De Rosnay and The Bridge of San Luis Rey by Thorton Wilder) and been able to watch 5 episodes Newsroom – the new Alan Sorkin drama on HBO. I don’t have HBO so it was exciting to learn the beach house did. We also have played Wits and Wagers – fun game. I have had the opportunity to share with my daughters stories of other beach adventures. As a child I remember going to Blackpool to visit my Uncle Bill. As a child, Blackpool was a magical place. There was Blackpool Tower, the circus, trolleys going up and down the boardwalk, fish and chips, donkey rides on the beach. The beach was huge and you could walk out “forever”. I have a vivid memory of playing soccer with my brother and sister, when suddenly my brother when flying across the beach. He had slipped on something – a jelly fish. There were many jellyfish on the beach that summer. We would later learn that because of a change in the Gulf stream there were man of war in Blackpool. Yuck. On another note, because Blackpool is in England, you don’t water a bathing suit on the beach – it is too cold. Another beach memory is taking my “little sister” to the Jersey Shore, Sandy Hook to be exact. My “little sister” is 12 years younger than I am so when I was old enough to drive she was still young. I remember standing at the edge of the water and a big wave came and knocked us over. Luckily I was holding her hand and I kept holding on to her – that was scary. As a teenager, I have memories of day trips to the shore with friends – baby oil, little bikinis and Parkway traffic. I remember snorkeling with Bruce on our honeymoon in St Thomas and being afraid of the fish. His comment was “you are the one who isn’t suppose to be here – this is where they live” Family trips when my girls were young to Wildwood Crest, Island Beach State Park and North Carolina. And trips to the beaches of St Thomas with my girls when they were in high school. And family vacations with my sister and her family to North Carolina and Rhode Island. As I was packing for this trip, I realized I didn’t have to pack sand toys. No one is building sand castles on this trip to the beach. Things change. But the waves continue to roll in and out. And family vacation becomes more and more precious. Last night I attended my monthly book club at the public library. Our book for the month of June had been The Cellist of Sarajevo by Steven Galloway. What an amazing book and what a wonderful discussion. “The Sarajevo in this novel is only one small part of the real city and its people, as imagined by the author. This is above all else a work of fiction.” It is fiction set in a real event in the recent past and that may be what makes it so chilling. More than once during our discussion last evening someone commented “why, don’t I remember this. why wasn’t I aware of this.” I defaulted to “maybe the media wasn’t reporting it. Maybe it wasn’t in front of us.” But that isn’t a reason not to be informed. There was also discussion about what it must be like to live with war waging around you. We shared stories of images seen during childhood that shaped us today. We also wondered what would we do in those circumstances would we be brave, would we be our “brother’s keeper”. I saw The Hunger Games film this afternoon. I found it to be more disturbing that the books. 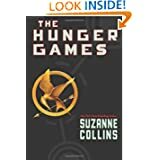 I have read the series – The Hunger Games, Catching Fire and Mockingjay the trilogy by Suzanne Collins. It was actually written as young adult literature. Both of my daughters, my sister and a friend had recommended the trilogy. So I finally read the first book on the plane flying back to New York from Seattle. Perfect book for an airplane. I read the other two books when I got home. I liked them and would suggest them but personally I think Hunger Games is a cautionary tale of the future. I have often thought that the next step after “Survivor” was the lions in the arena but I think the next step is The Hunger Games. The books were disturbing and thought-provoking. But today when I saw the film and the depiction of those “supervising” the Hunger Games, I was struck by “wow!! this isn’t hundreds of years in the future. With the right set of circumstances this could be the day after tomorrow” It was too close for comfort. May I suggest that if we don’t want the Hunger Games on the fall TV schedule in the not so distant future, let’s be responsible citizens. And I don’t mean a TV series, I mean a real event. I would love to discuss this book with an intergenerational group. I think there would be amazing conversation. Anyone want to join me? Current pile of books: The Invention of Hugo Cabret by Brian Selznick – reading with my niece, Everything Belongs by Richard Rohr – just finished and I am going to reread, The History of Love by Nicole Krauss- for book club. Bonhoeffer, his biography has been on the pile a long time. It is good but it is a slow read. Recently finished: Their Eyes Were Watching God by Zora Neale Hurston – would highly recommend. Sanctuary of the Soul by Richard Foster- would also recommend.